Hello Beauties! I hope you're all well and having a great week! This week has been a pretty stressful one for me but I'm happy that I've managed to continue blogging throughout, as I've been letting things get in the way a bit too much recently. I'm hoping that as I continue to settle in to my new blog, I'll be able to get myself into more of a routine with blogging again! Anyway, last week me and my friend Amy headed to the Sky Lounge in Tower Hill for the launch of Ulta3, an Australian nail polish brand who are now being stocked in Primark! While we were there, we had the opportunity to chat to the team from Australia, find out a bit more about the brand, and of course pick up some goodies on our way out. We were lucky enough to choose some nail polish colours as we left, so today I thought I would pop up a little review of a few of the shades I chose. As you can see by the picture, I love pastel nail polish and took the opportunity to add a few more pastel shades to my collection. The first one which caught my eye was 'Corsican Rose' which is a lovely muted pastel green shade, perfect for any pastel lovers like myself. I don't currently have anything like this in my collection and what really attracted me to it was the 'dullness' of the green. I really like that it's not too bright and in your face, making it perfect for work and everyday wear. Similarly to 'Corsican Rose', I was also attracted to 'Soft Hydrandea' for it's understated appearance. 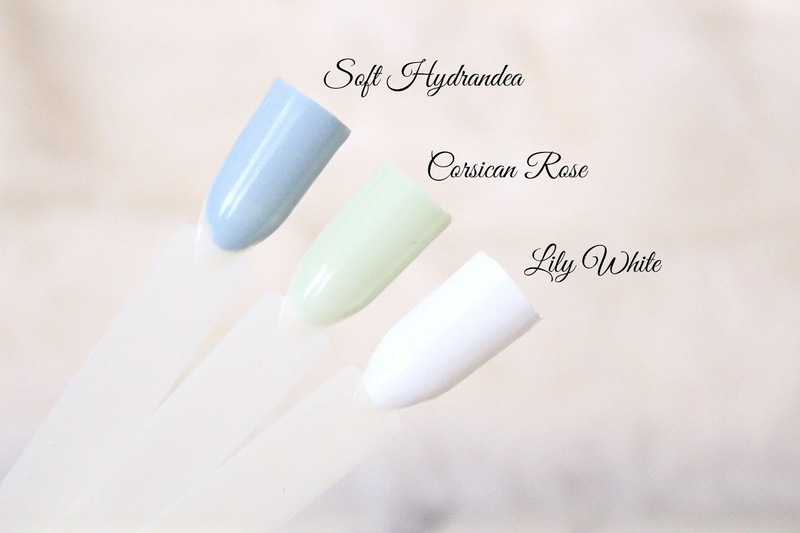 Soft Hydrandea is a beautiful duck egg blue shade which I think really suits my pale skin tone, and it also looks lovely layered with a silver glitter top coat - which is how I've been wearing it this week. Lastly, I picked up 'Lily White'. There's not too much to say about this shade as it's just a white nail polish, but it was something that was missing from my collection, and a shade which I've wanted for a while now. Out of the three, I found that Lily White did apply a little streaky the first time I used it, however if you use two thin coats, this is completely avoidable. All of the Ulta3 nail polish shades are now available in Primark for £1.50 each, and at such a bargain I was surprised at just how high quality these were. 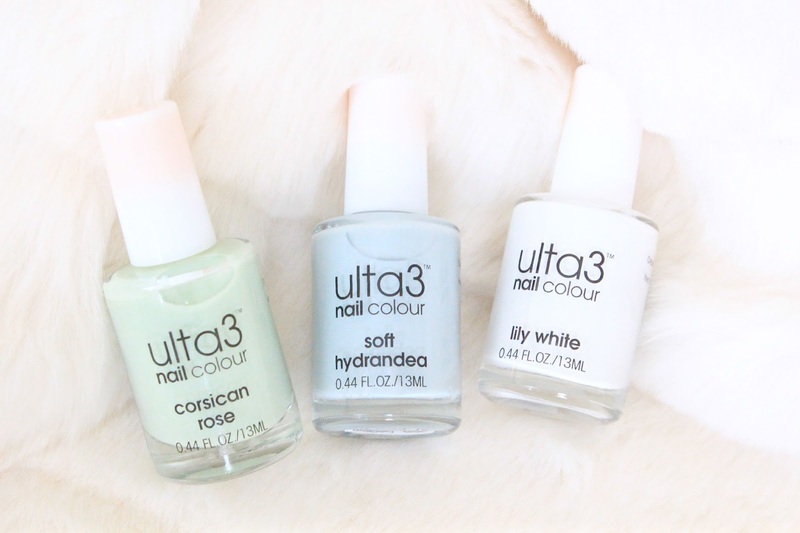 My Ulta3 mani lasted just as long as when I use brands such as OPI and Essie which cost almost 10 times the price, so if you're looking for some cheap and cheerful nail polishes, then I'd head down to your local Primark before all of the good shades sell out! That duck egg blue is right up my street. 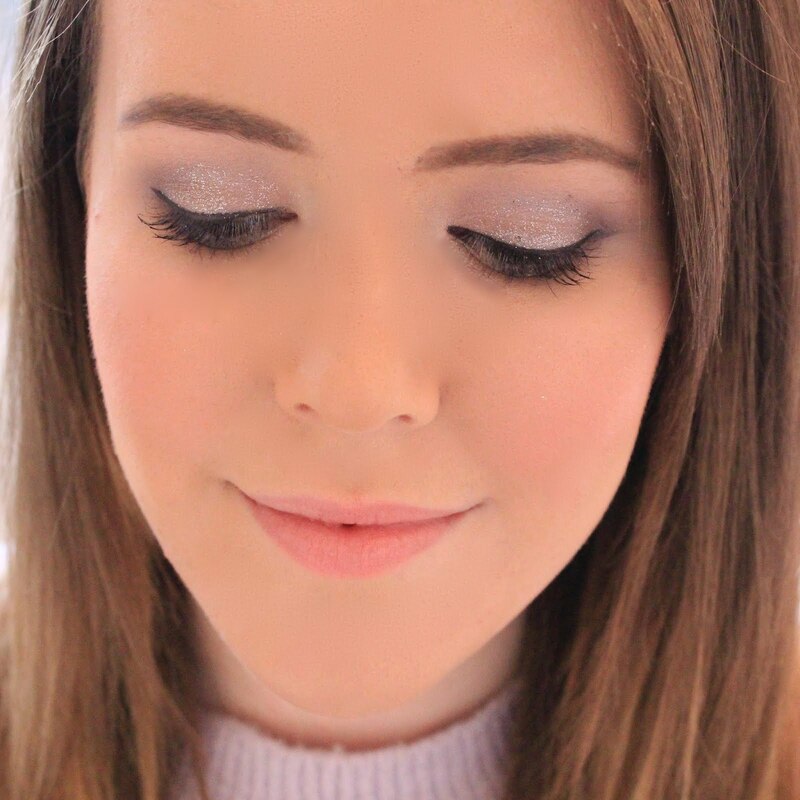 Primark's beauty range offers some great products. I think I'll have to pick one up! The names of them are just beautiful, I love the look of all the shades too! Those polishes look lovely! The blue is amazing, so soft and gentle! That mint shade is so so pretty! It is always nice when something affordable is decent quality. Great finds! £1.50? Primark here I come! Love the white shade! Those nail polishes look so pretty, and such a bargain too! Such a bargain! Lovely nail polishes! Don't normally like primark nailvarnishes, but as this is a different brand I'll give it ago, and they're so pretty! These are so pretty and I love the pastel look of them and for such a good price it is great.